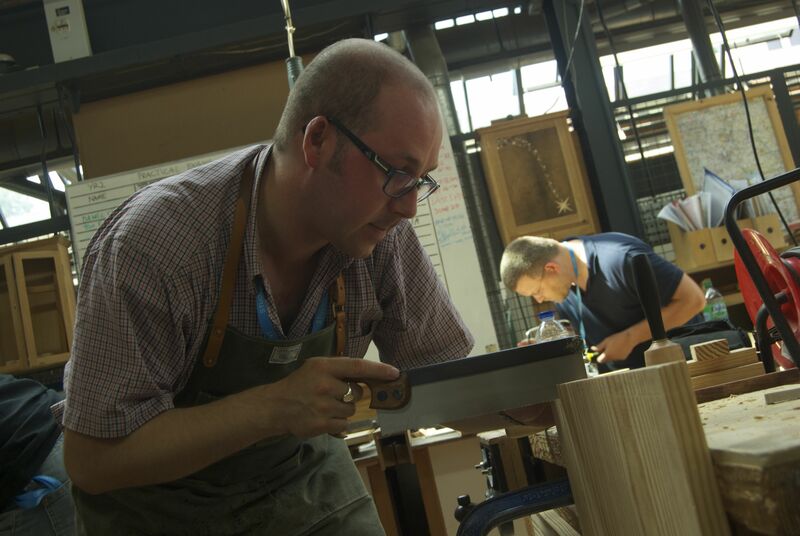 The following is a slightly reworked version of my first column for Furniture & Cabinet Making (published in issue 224). 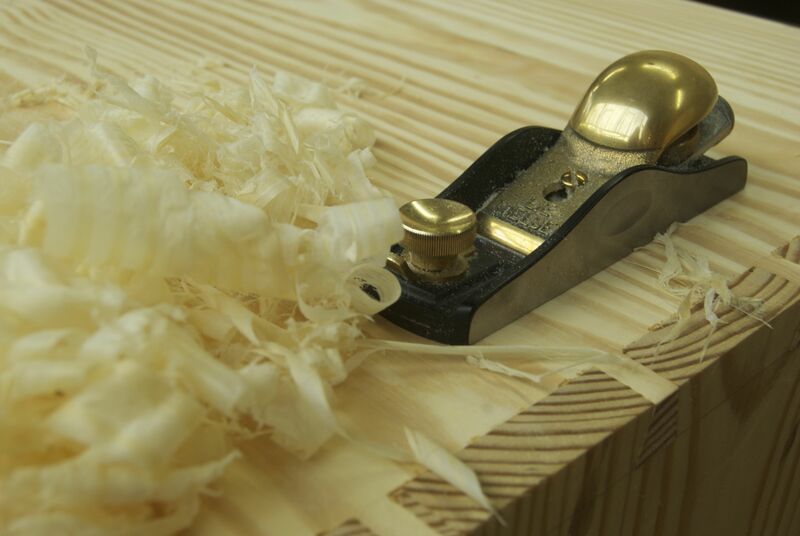 For many people, conflating woodwork with ruminations on mortality will seem like an unusual thought process. But for me, the idea of heritage in hand tool work, transcending generations, has always been a pivotal idea. My own woodworking journey started in 2007 when I enrolled on a course at the Totnes School of Guitar Making, and until recently, my workshop activity has been focused on building acoustic guitars; although my most recent build was a mid-50’s Telecaster type electric. This summer, I attended the inaugural course run by the New English Workshop. Under the tutelage of Chris Schwarz (his very first class in the UK), we spent five days building The Anarchist’s Tool Chest from his book of the same name. Now, you may be familiar with this iconic project, but if not: in short, The Anarchist’s Tool Chest is concerned with building an 18th century traditional English tool chest. 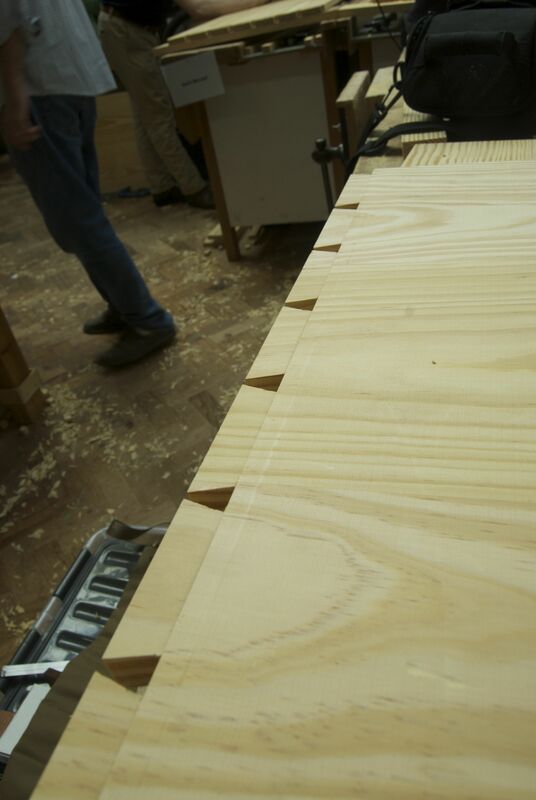 Because what better way to start learning traditional joinery than a five day dovetail death march using southern yellow pine (an evil material which has no place in the workshop)! Let’s not make things too easy for ourselves, right? I blogged daily from the course, but what I want to reflect on here is why this class was of immense personal significance for me. This is not just because of building the chest, but also because of what the chest represents. Let me explain. In The Anarchist’s Tool Chest, Schwarz uses the chest as a literary conceit, a way of discussing the tools necessary to build furniture, and the skills necessary to use them. The chest is a way of restricting your tool wish list to the fifty essential tools, and as a statement of intent for craftsmen and craftswomen who seek to lead an ethical and sustainable life by building long lasting furniture and so escaping the spiral of buying disposable, chipboard, furniture-shaped objects. I read the ATC some five years after the course in Totnes, and it is hard to overemphasize the impact the book had on my thinking. The half articulated ideas which had been slowly fermenting since the course in Totnes finally coalesced, with Schwarz filling in the gaps and signposting where the path could lead. This was an approach that meshed with my own embryonic thoughts on woodworking, a Eureka! moment when everything started to make sense – very much like the time I first took a wafer-thin shaving with my trusty Clifton No. 5. There is another reason why the ATC was loaded with personal significance; it was the last project I discussed with my grandfather. Although I had not done any real woodwork before the course in Totnes, it was something I had grown up around thanks to my maternal grandfather, who build everything from wardrobes to toys in his shed – an Aladdin’s cave of tools, many of which had belonged to his grandfather. So it was inevitable that when I took the lutherie course in 2007, we bonded over woodwork, constantly discussing new projects, techniques, and yes, tools. 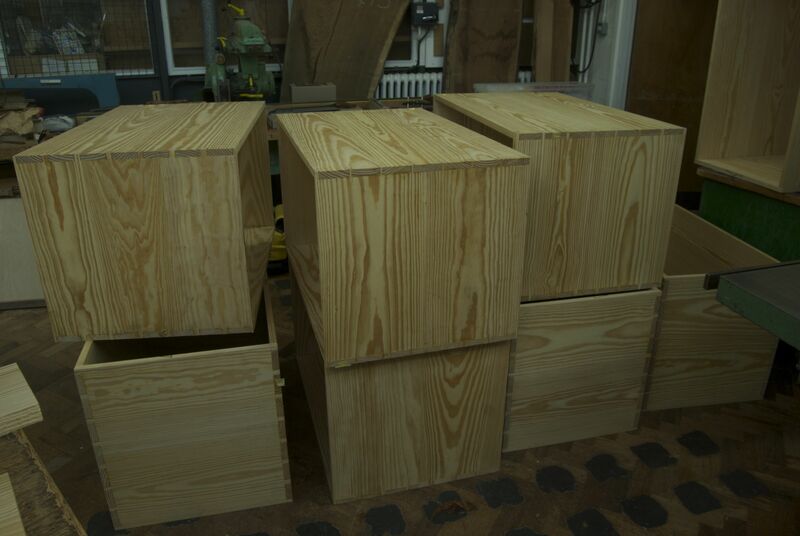 In 2011, as he lay dying in hospital, we continued to talk about woodwork, and he enthusiastically examined pictures of The Anarchist’s Tool Chest I’d taken in for him, and talked about timber selection and the construction techniques necessary for this project. So yes, this was a hugely important course, even before you consider that it was taught by Chris Schwarz himself (a huge hero of mine). But the learning experience did not stop when we all packed our tools up on the Friday evening (and not just because I still had my first frame and panel lid to build before the chest could be painted). Because, you see, manhandling the tool chest onto the bench in my workshop got me thinking again. And I couldn’t help but think that there was a punch line to the course beyond having improved my dovetailing. And then it struck me. I knew exactly what I had attended the course to achieve. 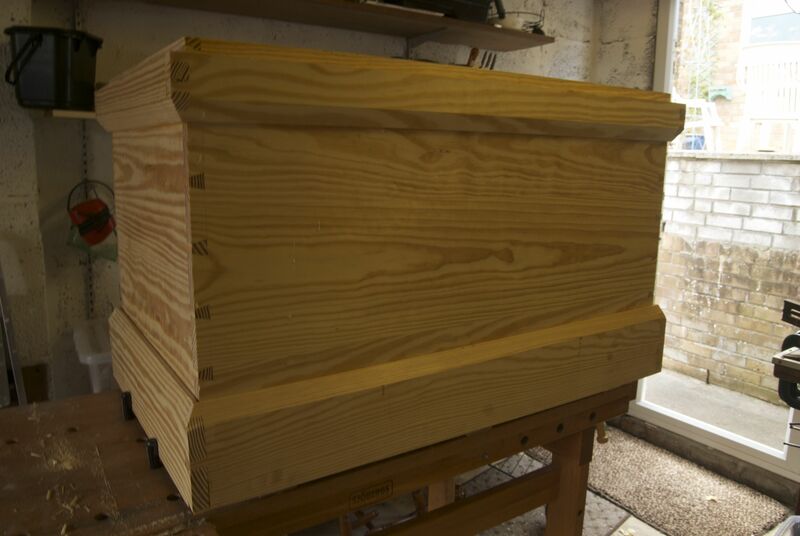 Building the chest is a way of representing the ideas I talked about at the start of this column; keeping the craft of hand tool work alive, of empowering woodworkers to build and to lead ethical lives without the crutch of cheap disposable furniture (or musical instruments). And yes, it will also keep my tools safe. This chest, which still connects me to my grandfather despite his passing, is the means by which I can teach my children, and (eventually) my grandchildren all of these things. The Anarchist’s Tool Chest is essentially bombproof; built from southern yellow pine, dovetailed at the corners, with further dovetails on the upper and lower skirts, it should last for a hundred years at the very least. So here’s my suggestion for the course’s final and most important lesson:- this chest will continue to represent these important ideas long after I’ve returned to the soil, and (with all probability) long after my grandchildren are gone. The enormity, and staggering simplicity of this, is beautiful. This entry was posted in Anarchist's Tool Chest, Furniture & Cabinetmaking, Furniture Making and tagged chris schwarz by overthewireless. Bookmark the permalink.